Produced by bees that pollinate the flowers of the manuka bush (Leptospermum scoparium), the honey's enhanced antibacterial properties weren't identified and studied until the 1980s. And while you may be thinking of all the great things you’ve heard about raw honey, manuka honey is even better. Additional compounds — methylglyoxal (MGO), dihydroxyacetone (DHA), and a few others — make it even more beneficial for both internal and topical use, MindBodyGreen reports. 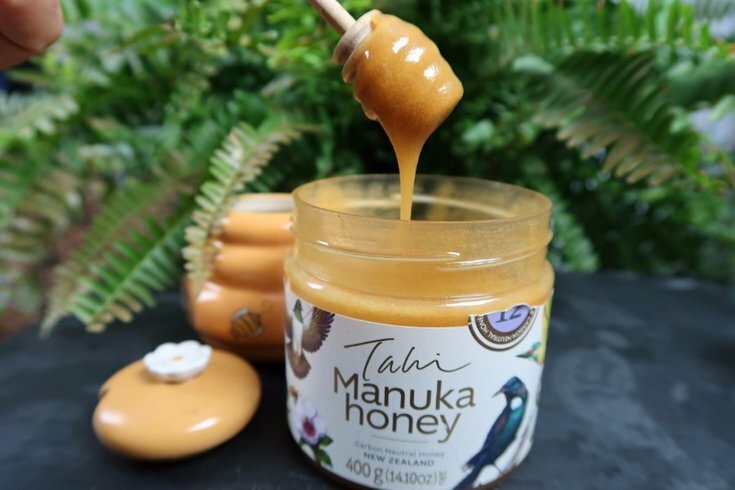 Before you jet to Whole Foods to stock up on manuka honey, there are a few things you should know. First, it is usually sold with ratings, numbers or symbols that indicate the antibacterial strength of active honey. For example, you might see, "NPA" (non-peroxide activity), "UMF" (unique manuka factor), or "MGO/MG" (methylglyoxal) on labels. In short, the higher the number, the higher the antimicrobial activity, Refinery29 reports. If you want to use manuka honey as a food or tonic, then there's no need to buy a "more active" type, but it might be wanted if using to help heal a wound, like a cut or scratch. Then you'd need to get something sterile, and with a high level of antimicrobial activity, Refinery29 explains.